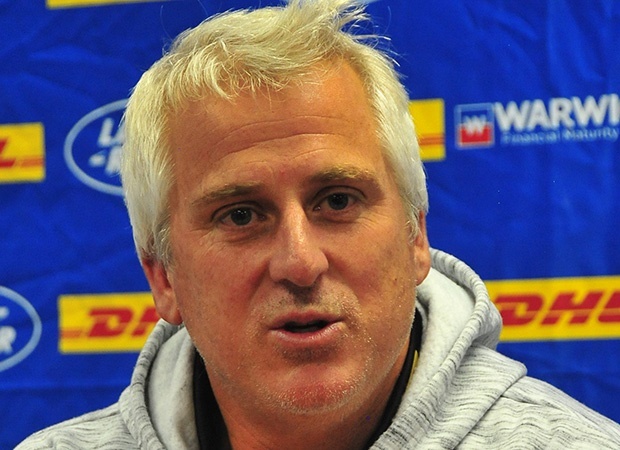 Cape Town - Stormers coach Robbie Fleck blamed their kicking for the narrow loss to the Hurricanes in Wellington but he will know that a lot of game growth in other areas is necessary if his team want to realise their dream of winning the competition. The Blues are up next for the Stormers, and they pose a different challenge with a stronger pack than the Hurricanes, who edged home 34-28 in a tight game. Fleck knows that this immediate hurdle will require some all-round game growth if the Stormers are to be successful at Eden Park against a Blues side that has now won two in a row. On the face of it, Fleck was right to feel encouragement along with the frustration of a result that was effectively butchered by his team’s high error rate in the opening tour match. Westpac Stadium was the closest the Stormers have come to beating a top New Zealand side on their soil in a long time, and although it did threaten briefly in the middle stages of the first half, there was no runaway win for the hosts. "We feel it was a game we probably should have won, and it was one that we had targeted for a win and desperately wanted to win, so we are a bit frustrated about that," Fleck told supersport.com. "But in terms of effort it was outstanding. I felt our plan was really good, particularly towards the end of the first half and the beginning of the second half. Unfortunately our kicking game let us down later in that second half. We did still have an opportunity to win it at the end, but I think the injuries we suffered left us short. "We had two locks off the field by the halfway point in the match, and it meant that suddenly we didn’t have as many lineout options as we had at the start. And then we got pinged by that late penalty (at an attacking lineout on the Hurricanes line three minutes from time)." Overall though the pack was excellent and although they didn’t get the result their efforts may have deserved, in terms of work ethic and impact they achieved what forwards coach Russell Winter was hoping for. "We have worked incredibly hard over the past three weeks and there have been aspects of the game that the forwards have really enjoyed working on in training and I am really pleased that all the effort is paying off for them," said Winter in an early Monday morning teleconference with the Cape media. However, the Hurricanes was a game that the Stormers had targeted ahead of the tour because of a perception they have a weak pack, but as Winter acknowledged, the Blues are different. "The Blues pack does pose a very different threat," said Winter. "They have a lot more ball carriers than the Hurricanes do and they are definitely more physical. That poses a different challenge for us." Indeed it does, and it will probably demand that the Stormers avoid putting all their eggs into one basket like they did against the Hurricanes. Perhaps it was understandable given how the Stormers were embarrassed by teams like the Hurricanes in the past that they should have kept the ball close to the forwards in Wellington, but ultimately it might have cost them the win. Just a little bit of variation on attack might have put the Stormers into the clear during those periods when they did have control. As it was, they were a one-trick pony, and only ever looked like scoring off a driving lineout maul. That needs to change if they are serious about winning silverware. But Fleck hinted afterwards that the plan was always specific to the Highlanders. Against the Blues it might be different. "We will do our work on Blues this week and come up with a plan (specific to the challenges they pose). The plan was to target the Hurricanes at forward and it worked if you look at the number of penalties we forced from the scrums and when we carried hard. We definitely had ascendancy there and the part of our game that didn’t work was our kicking," said Fleck.